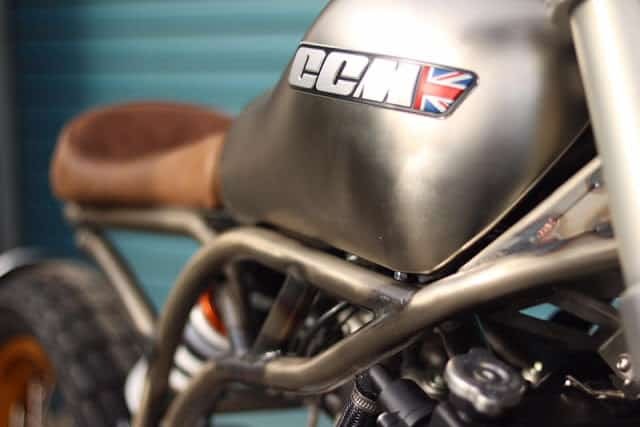 After a bumper year of 150% sales growth, followed by a big cash injection, CCM have announced they are opening a ‘Skunkwerx’ department that will create a new series of bikes. 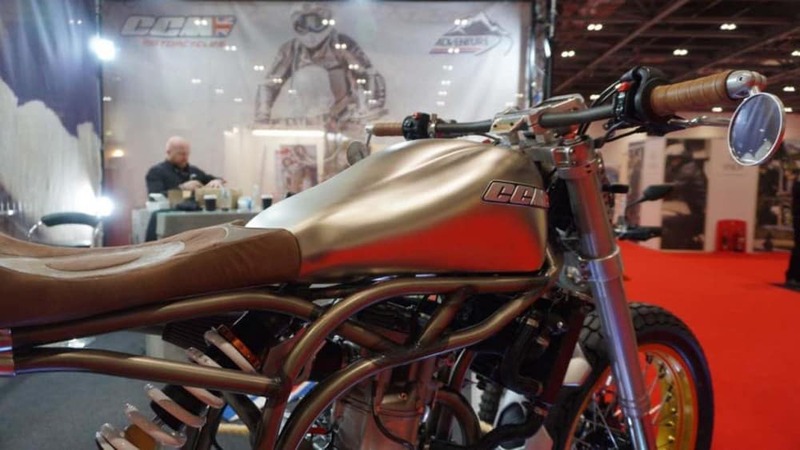 The first bike from the Skunkwerx series is the Spitfire, which is being launched at the Carole Nash MCN London Motorcycle Show. 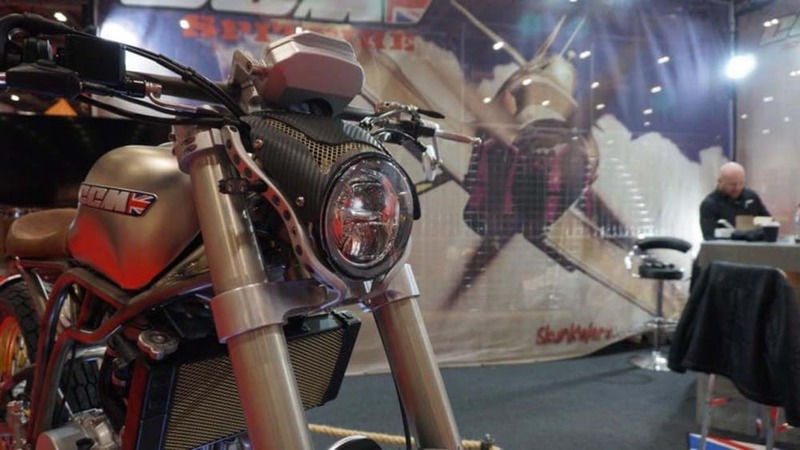 The new machine features the same 55bhp 600cc engine and frame, but has a revised rear subframe and features a 17-inch rear wheel instead of the 19-inch number that’s found on the Spitfire. 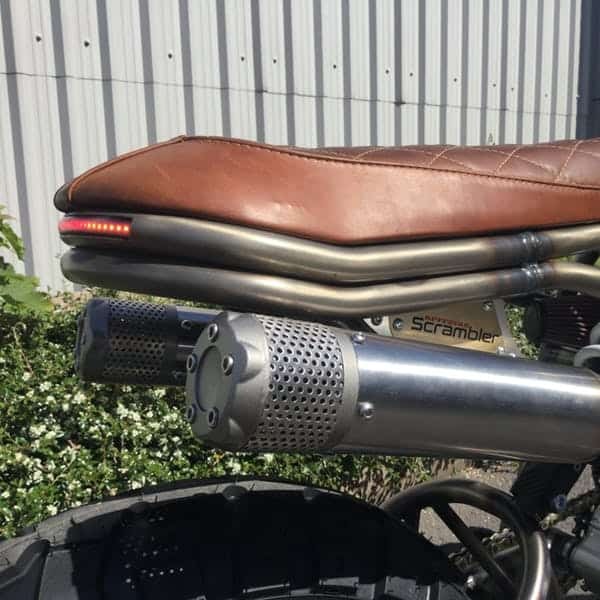 The bike also comes with the addition of a skid-pan to protect the engine, raked-up bars and an off-road styled scrambler mudguard. 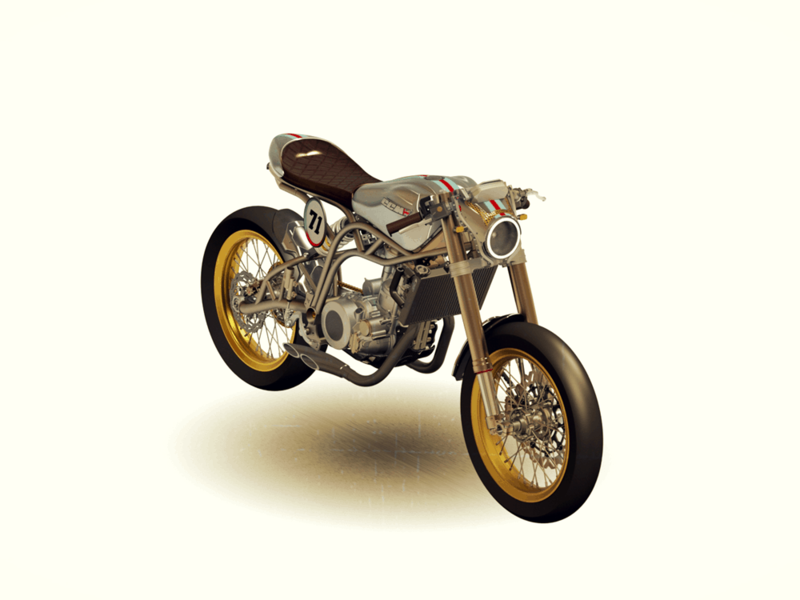 Not forgetting of course, the new upswept exhaust. The price of the new machine will be £8995, or £9247 on the road. 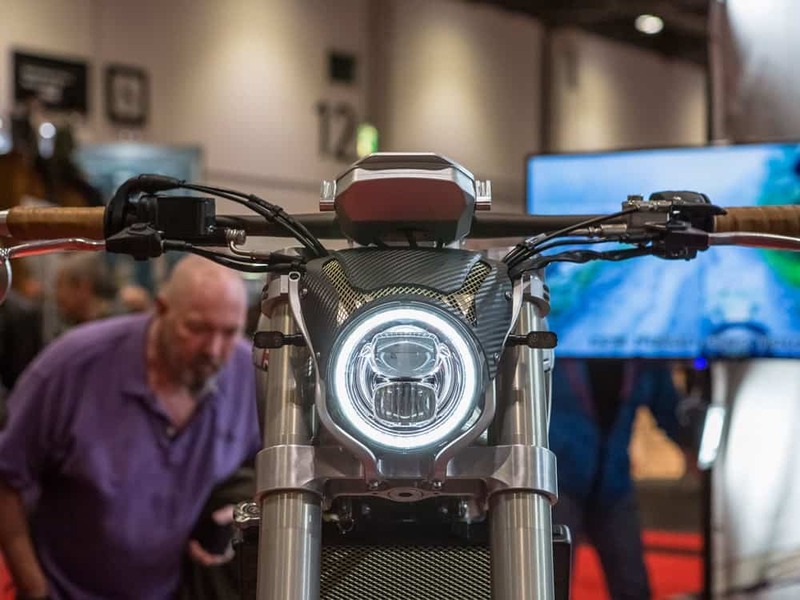 Like the original Spitfire, the numbers will be extremely limited to just 250 machines, and you’ll have to be quick if you want one because 100 of those have already been sold. 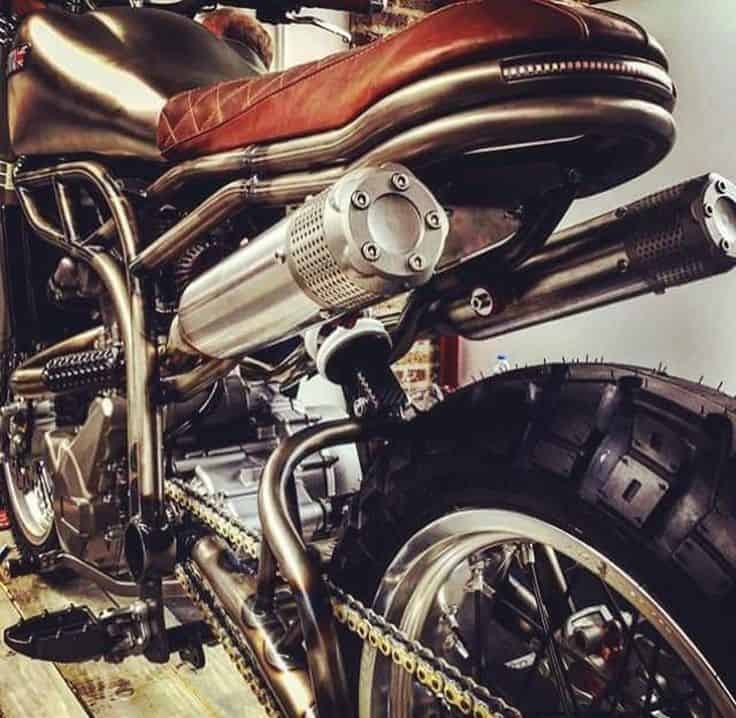 The Spitfire uses a 600cc single cylinder four-stroke motor, which pushes out 55bhp and 58Nm of torque, sitting in a hand-welded frame that’s made from T45 high-strength British steel. 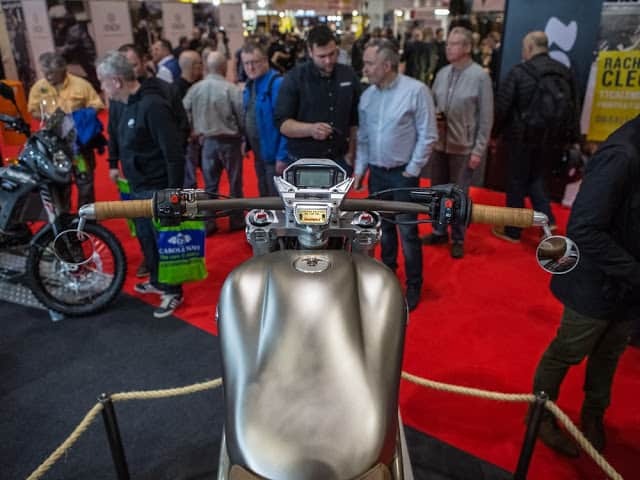 Not coincidentally to the name of the bike, it’s the same steel that was used to build the fuselages of the Supermarine Spitfire fighter plane. The welds on the frame retain their blueing from assembly, which makes each one unique. The brakes are from Brembo and feature a single 320 disc on the front tyre and a 240 disc on the rear. 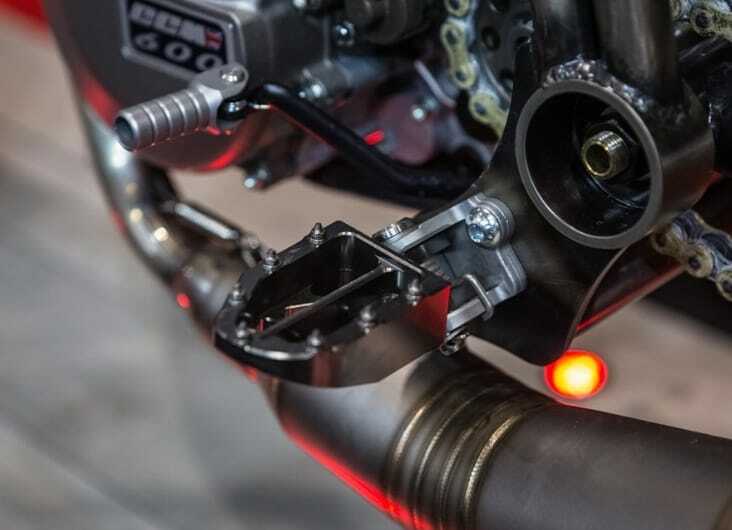 The front suspension is from WP and a single Tractive shock at the rear, both being fully adjustable. 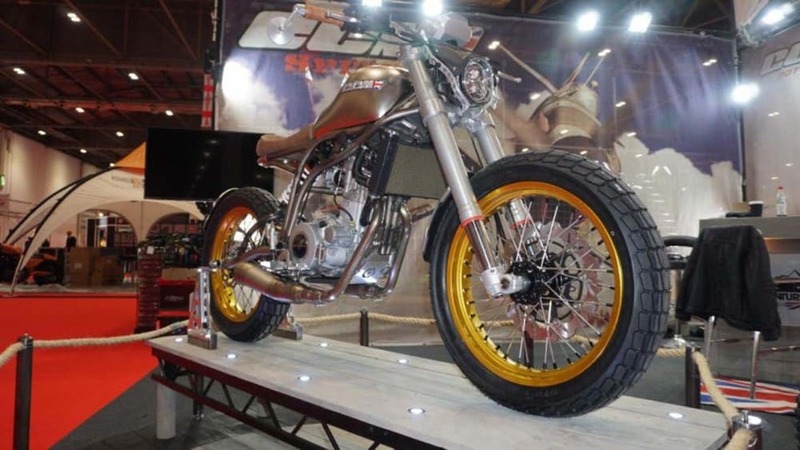 Wheels are 19-inch and spoked featuring flat track tyres. The Spitfire also only weighs a miniscule 121kg (dry). 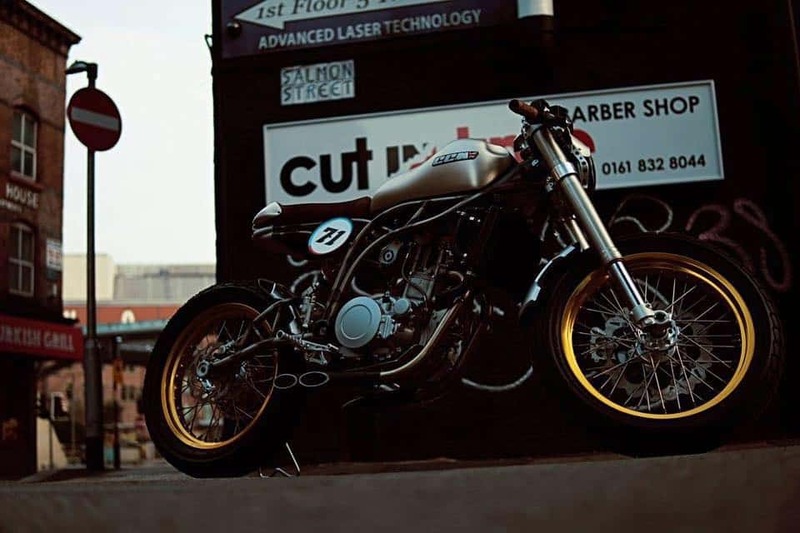 The bike is a product of passion from the guys at CCM. Born of an idea that started as a hobby that developed into a business case. 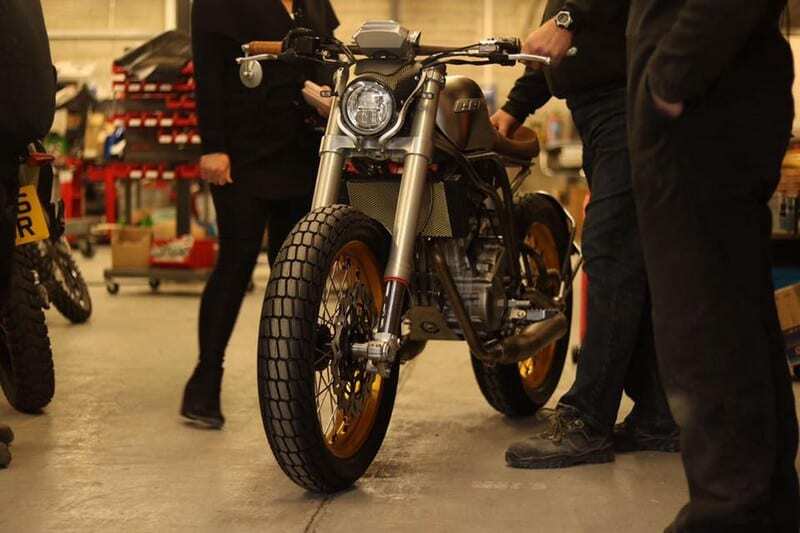 “We wanted to make a pure motorcycle to show what we can do by building the machine to how we think a motorcycle should be,” continued Ratcliffe. 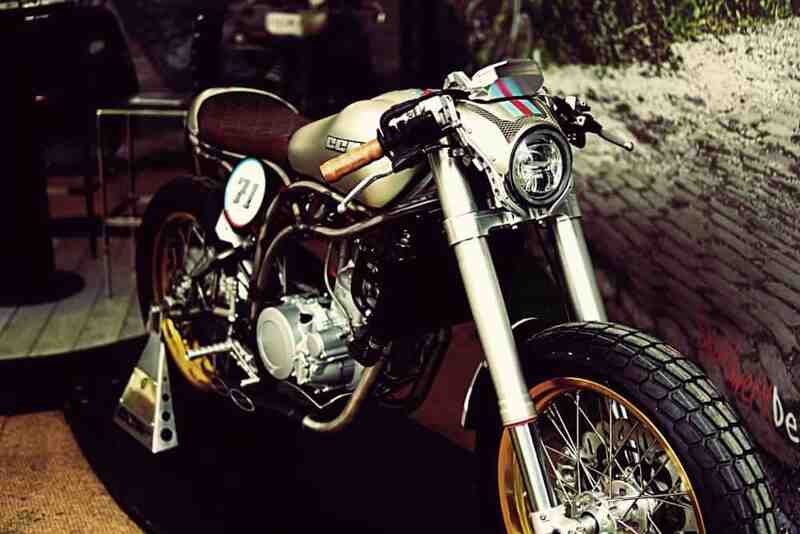 CCM have expanded their newly created Spitfire model line to include a new Café Racer variant. 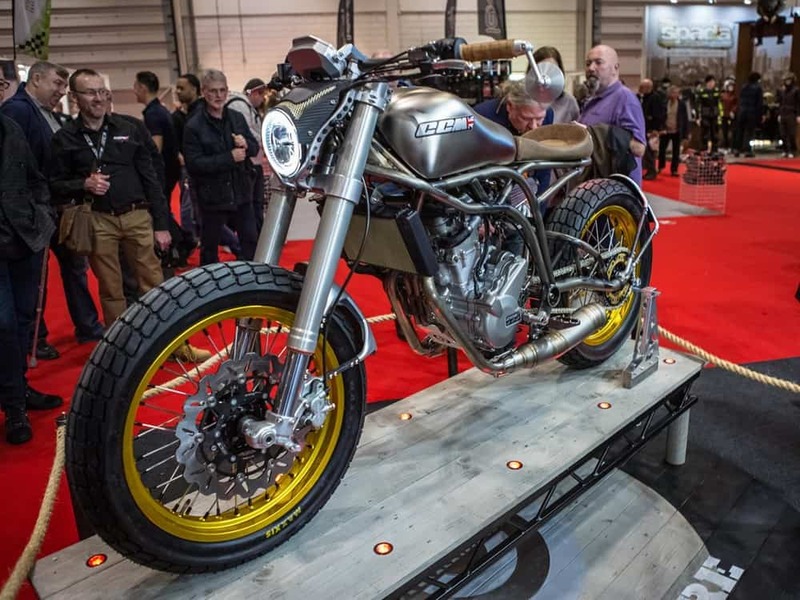 The Café Racer shares the same engine and chassis as the original Spitfire but it has clip-on handlebars, racer rearsets, low slung exhausts, a stubby rear mudguard and a longer seat with cowl. 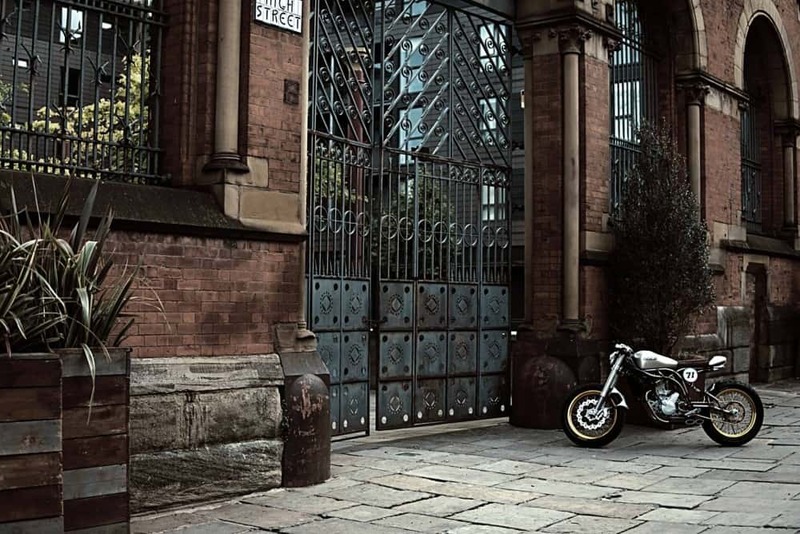 The centre piece of the Spitfire range is a 600cc single cylinder engine that generates 55bhp and 43ftlb of torque. 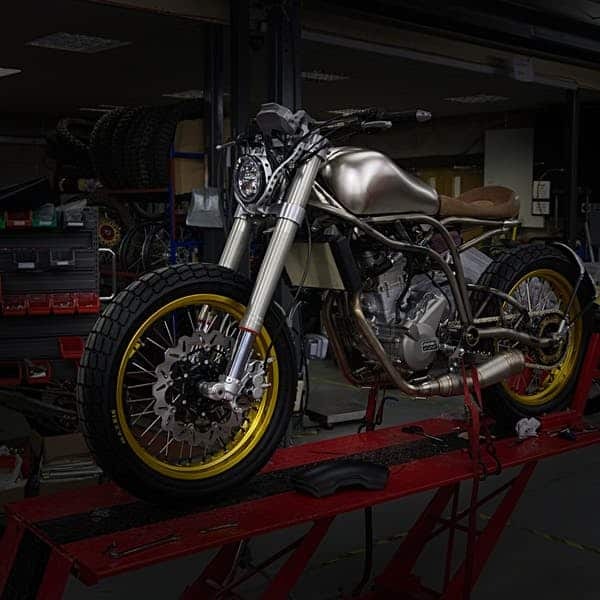 Even with a handmade steel frame, the Café Racer has a claimed dry weight of just 125kg, which means it should have a grin inducing ride. 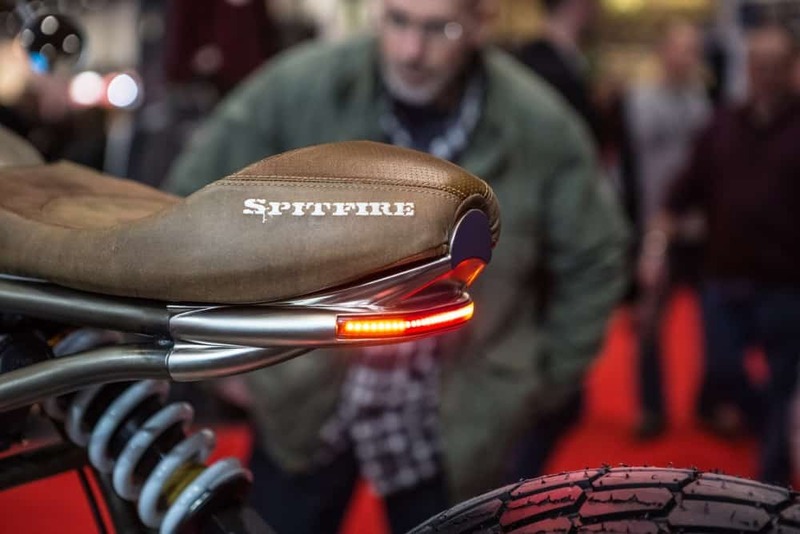 The Spitfire will be rolling off the production line sometime in the late spring and should arrive sometime in May. Contact CCM for more details. I would personally take any one of them under my wing as these are such great works of art in itself. Should not be too long until we hear that Thump Thump Thump of the long stroker, on the tarmac out here but, being a limited edition, I bet many wont do too many road miles. 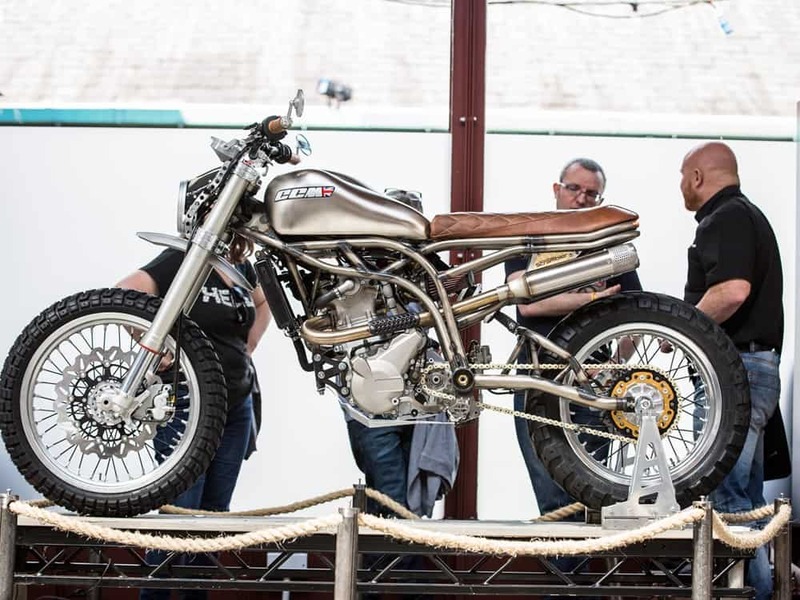 Great machines, Great history, unique and stylish, I think they are onto a winner, as long as there is a Parts department to keep these limited edition machines on the road for people that really will ride them. If I see any more on these great machines, I shall let you know as I worked for John Banks Dad as a kid washing his Rolls Royce and then John would come into the shop and fire up the CCM, boy what a growl. So, mixing old with New, how can this not be a great Bike to play with and feel like you are once again a Teenager. I look forward to twisiting my Neck to find out what that Growl is when a CCM comes up on the road behind me. Be it the Cafe version or Scrambler, I am sure these will get many people talking about them as soon as they clap their Mince pies over them. 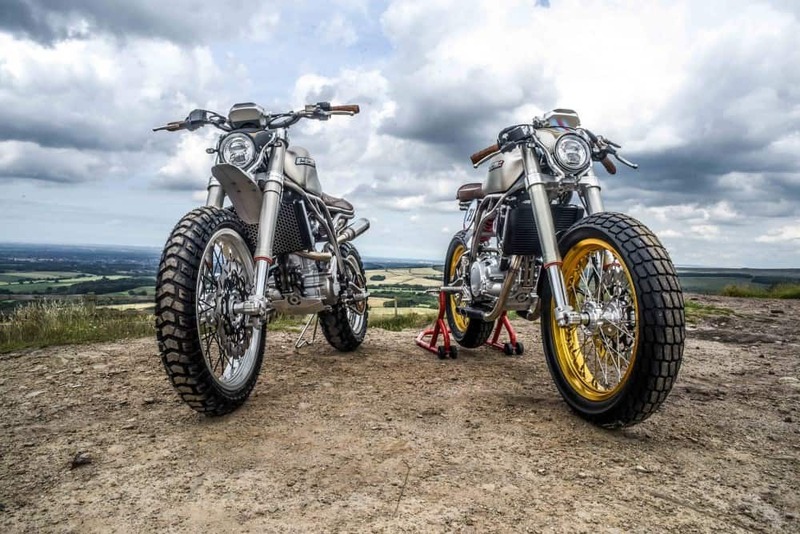 Thanks for reading and stay tuned… As when I get more information I will of course write another blog about these 2 great Machines. A few more videos for you to watch. A word from the Guv’Nor! 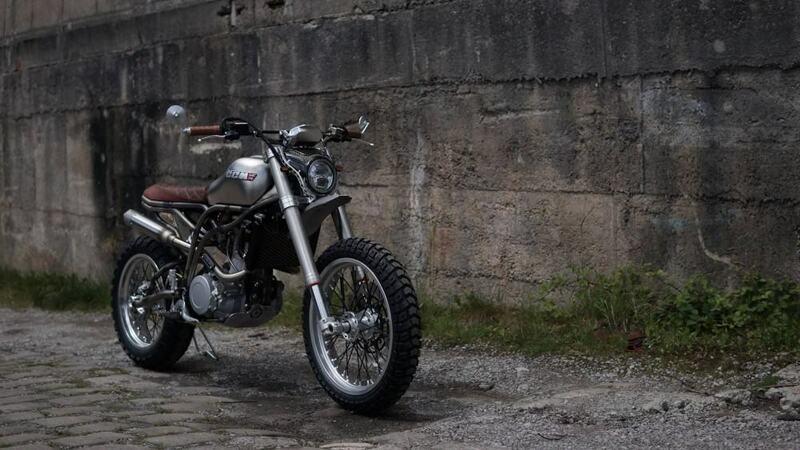 This entry was posted in Blog and tagged 59 club, cafe racer, CCM, classic, scrambler, Sitfire, Skunwerks, ton up.